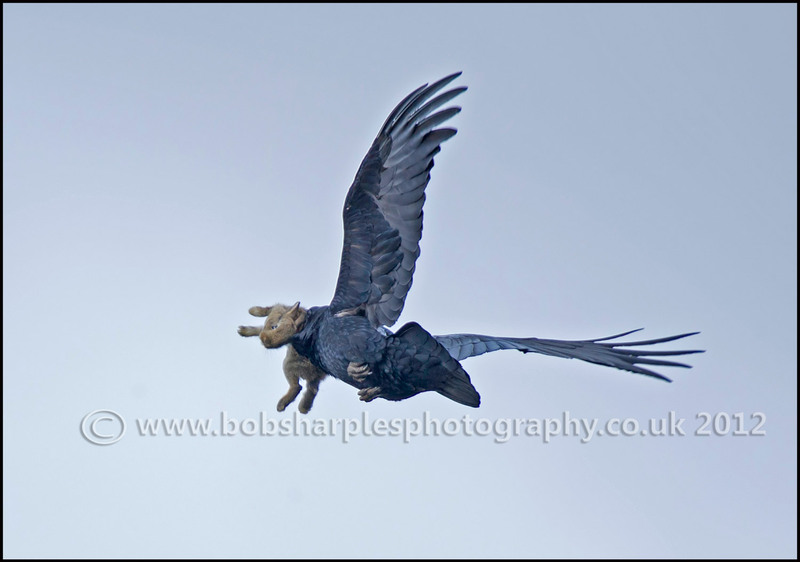 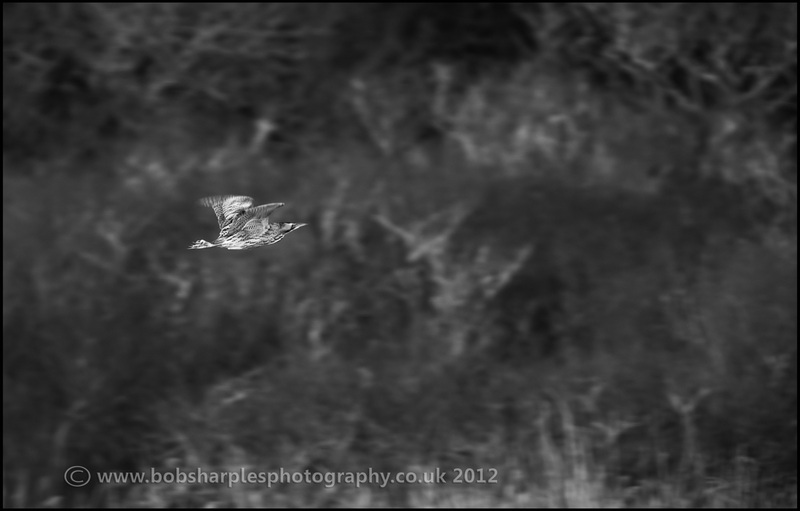 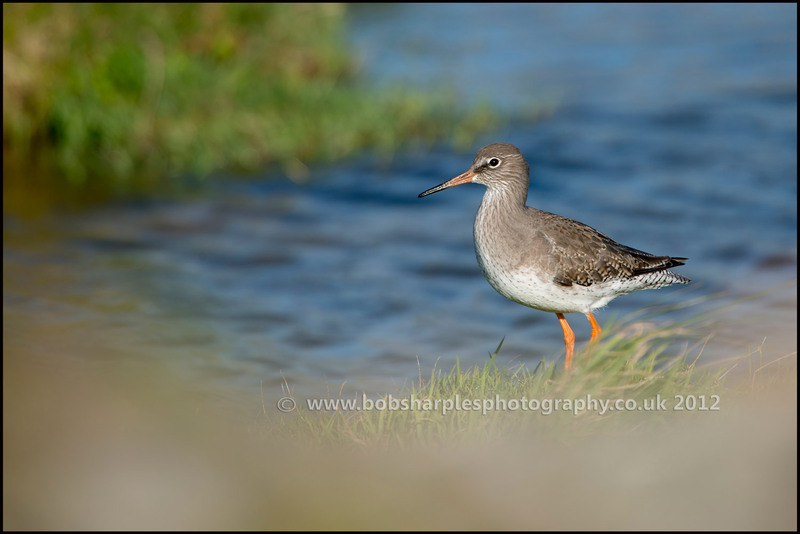 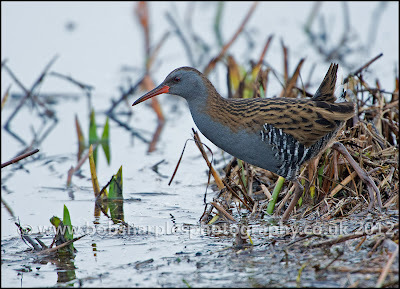 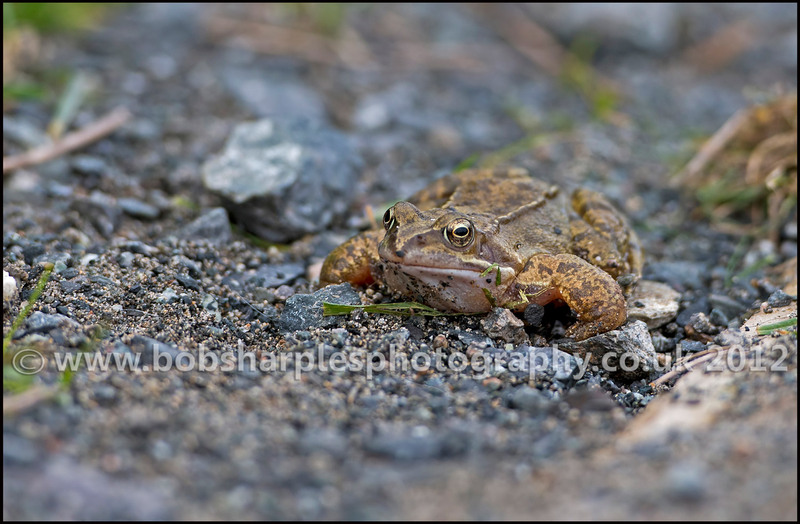 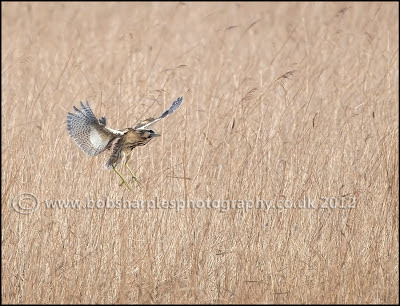 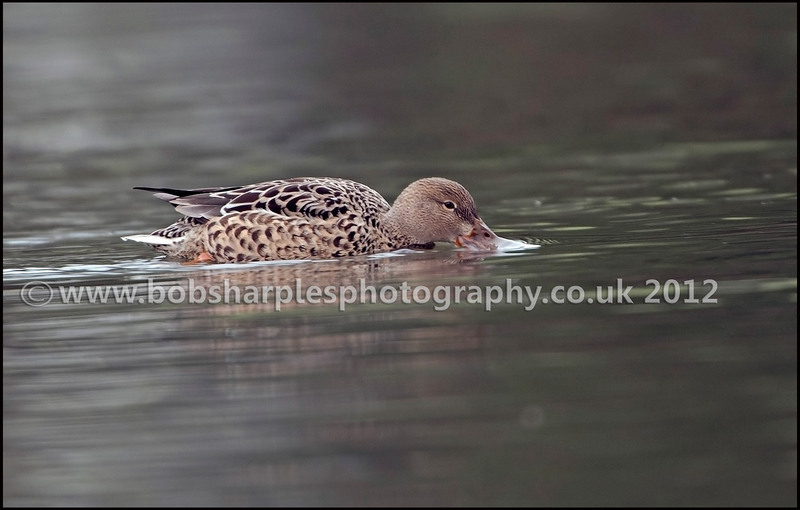 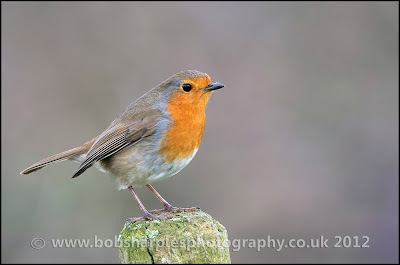 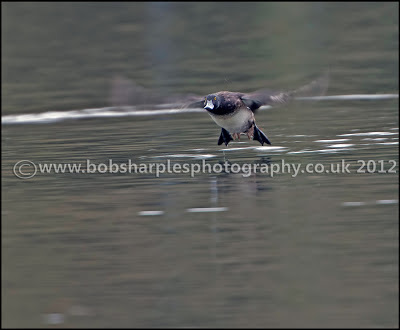 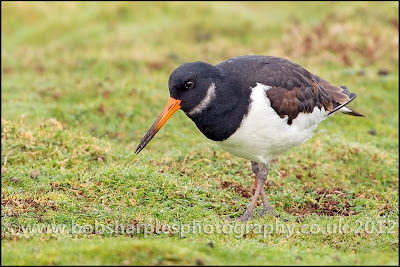 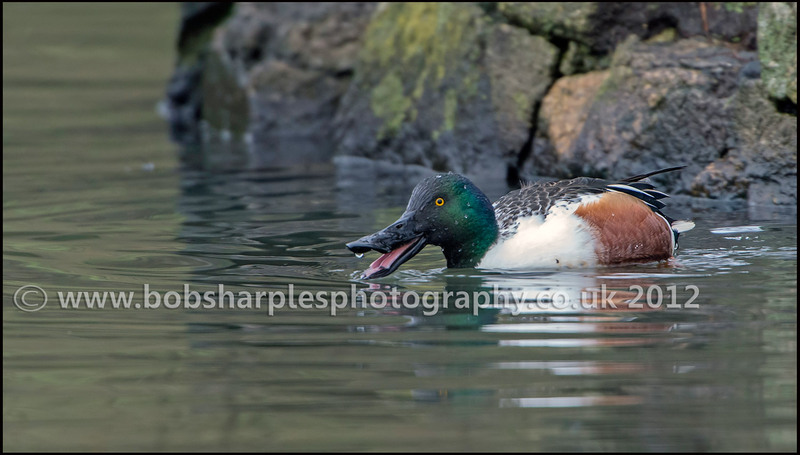 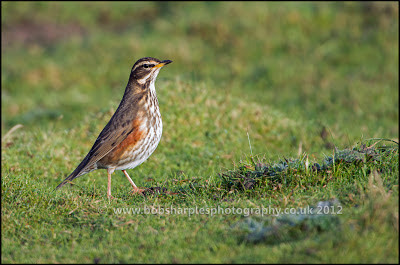 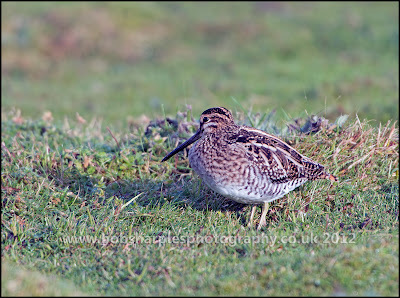 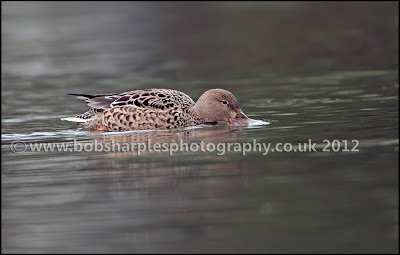 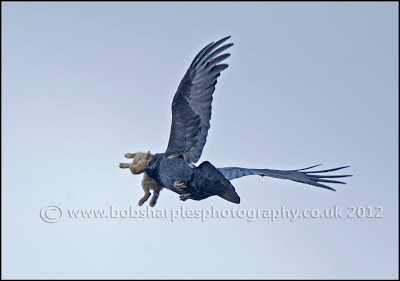 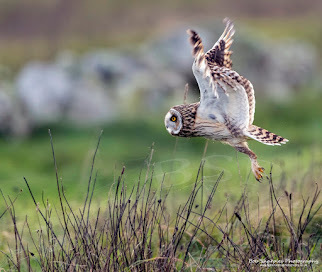 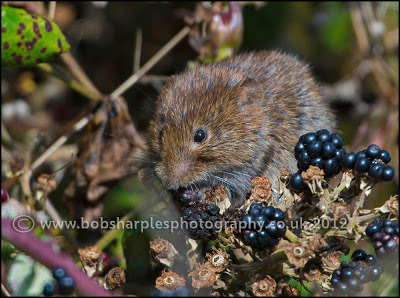 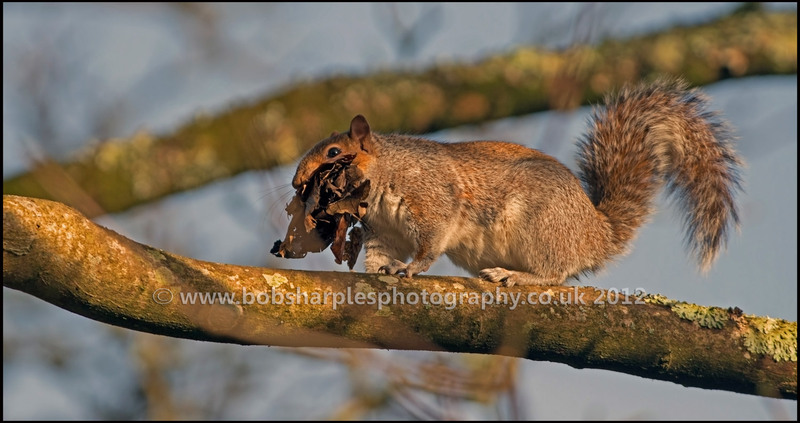 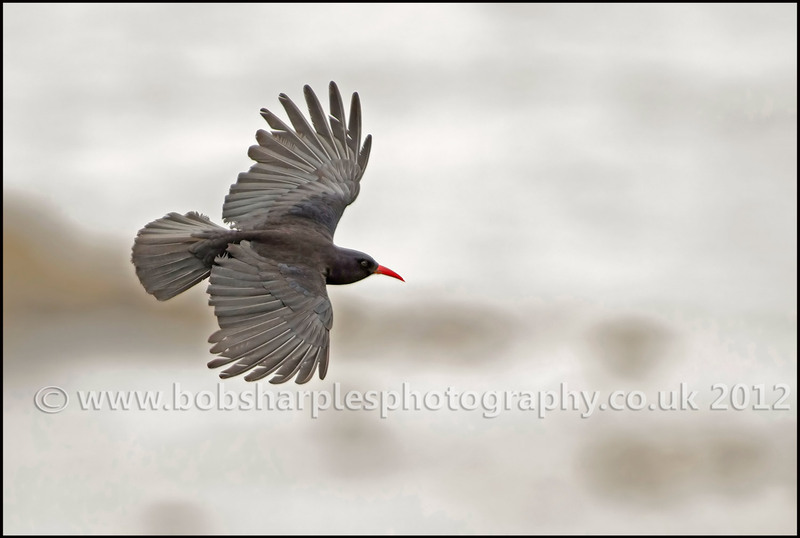 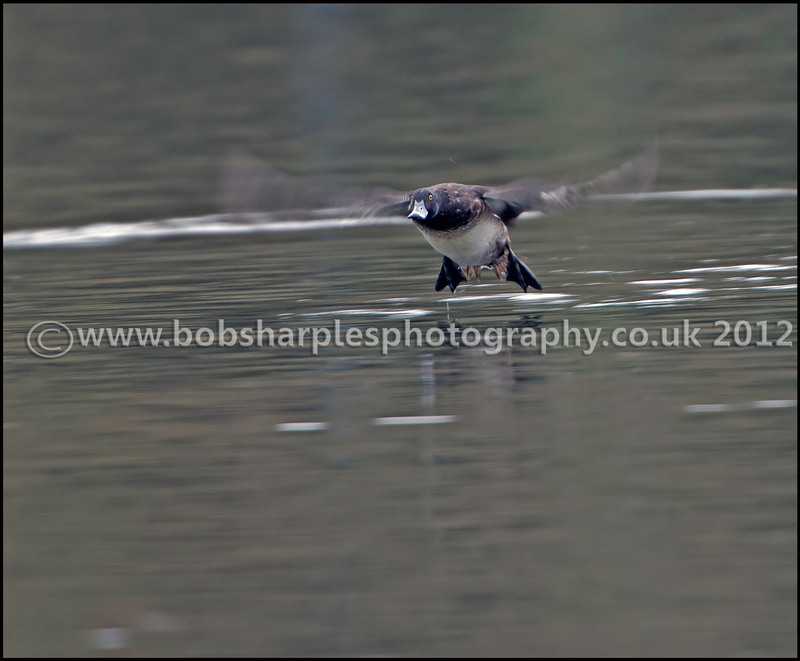 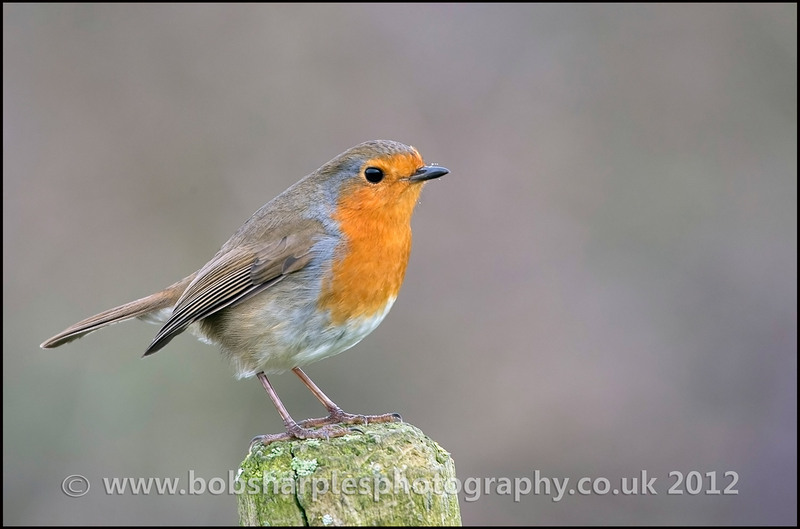 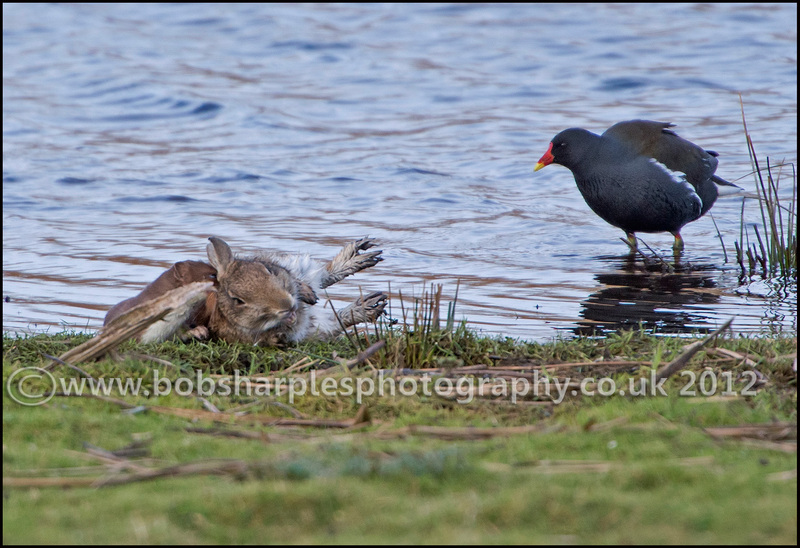 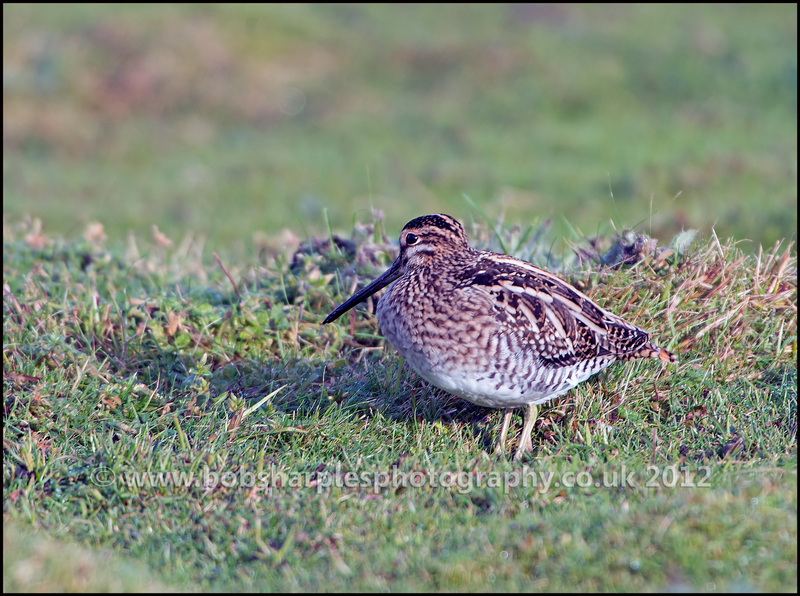 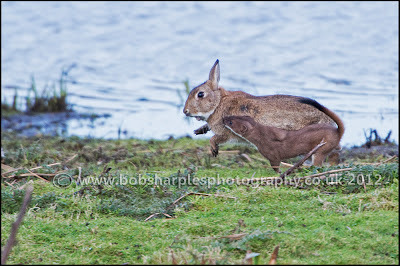 Well it has been a rain sodden and sometimes frustrating year for wildlife photography. 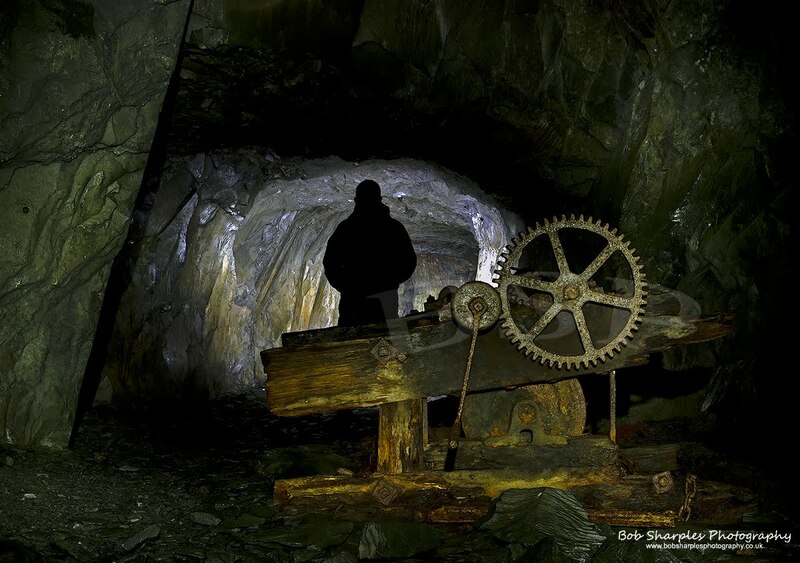 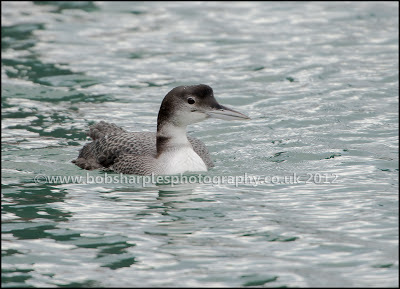 However even so despite the conditions opportunities for some nice images presented themselves. 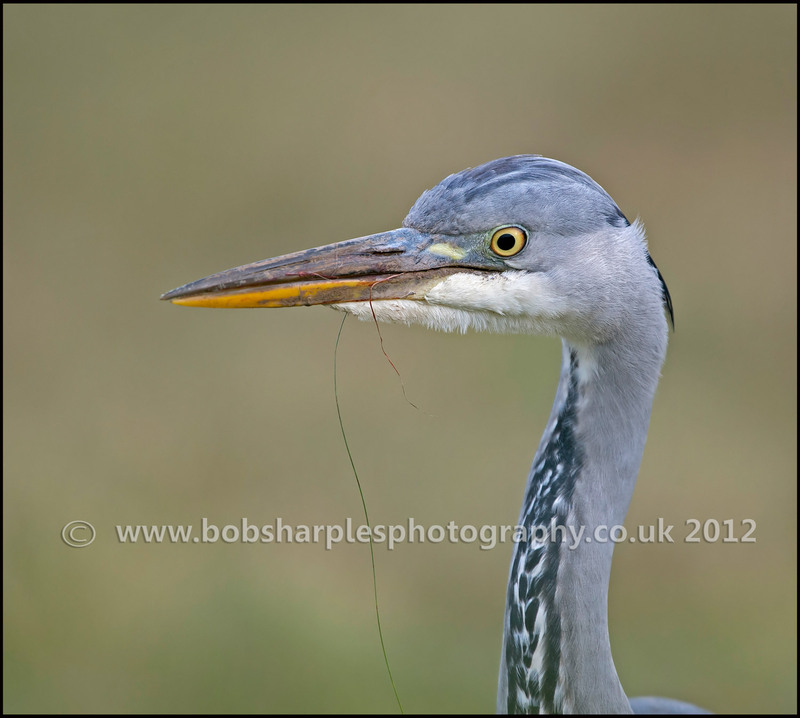 I have a small selection of my favourite images below some not technically perfect, but I like them so that is what matters, lol. 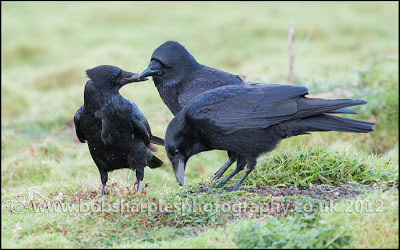 A couple made it to the papers and hopefully more will follow next year. 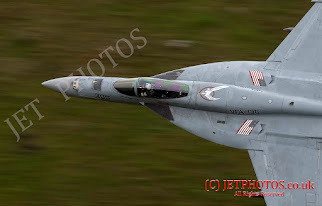 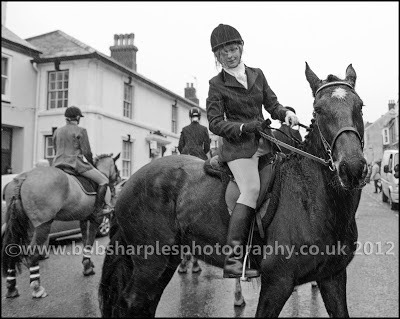 Here are my images selected from 2012. Chough on The Lizard, similar to a flight shot of the Chough I am after, but not quite there yet. Bank Vole, a couple of branches in front of the vole has created some blur, but this is a wild vole and a rare opportunity . 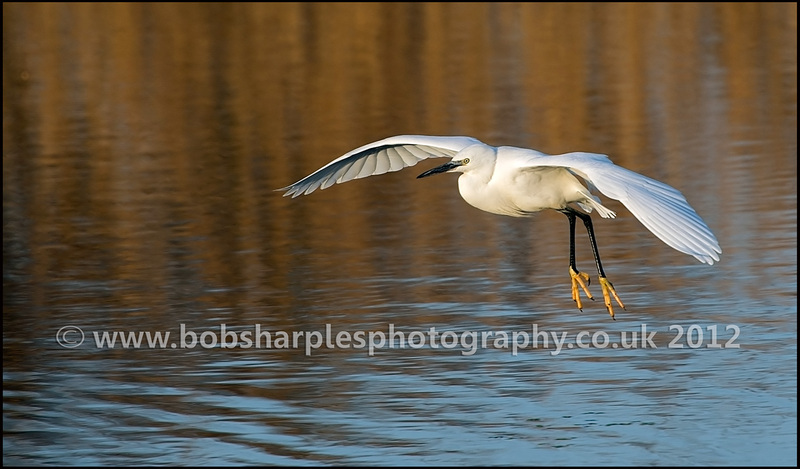 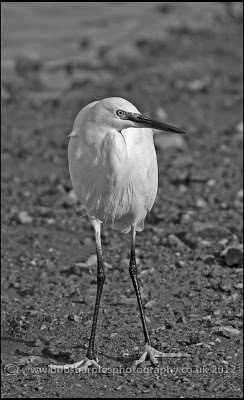 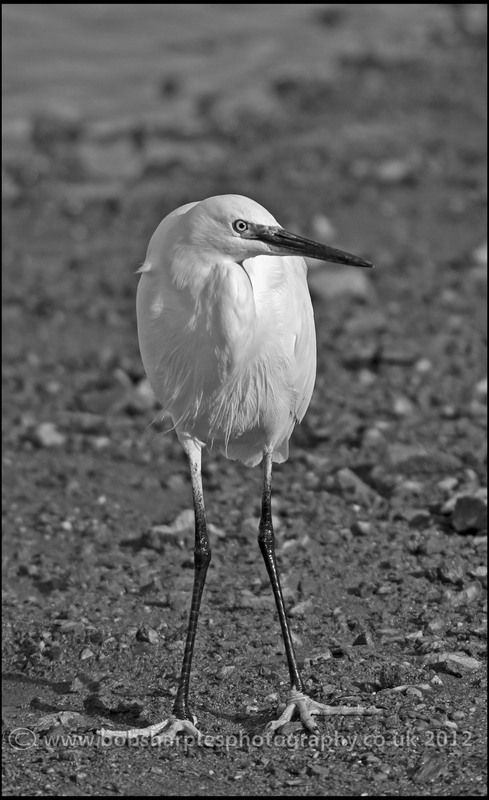 Little Egret, I just liked the upright pose! 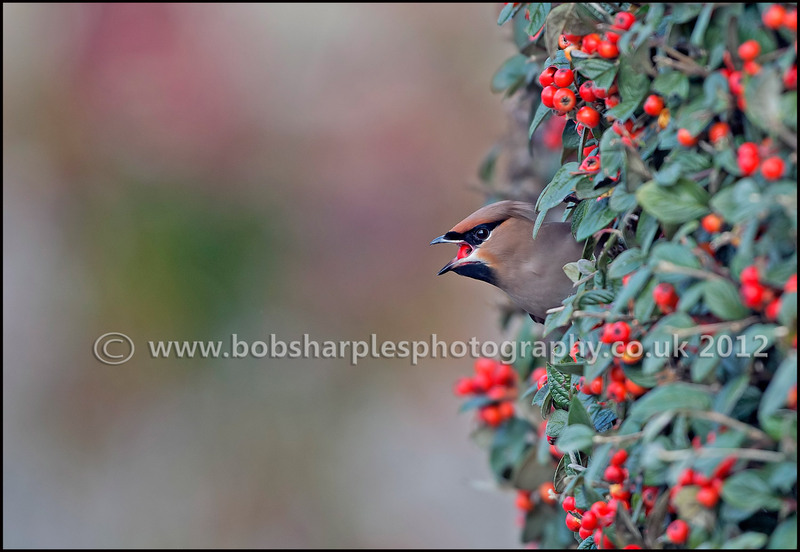 Waxwing, great to see these birds in Falmouth and I really like the viewpoint I have captured here. 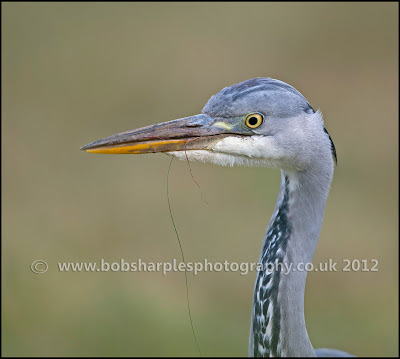 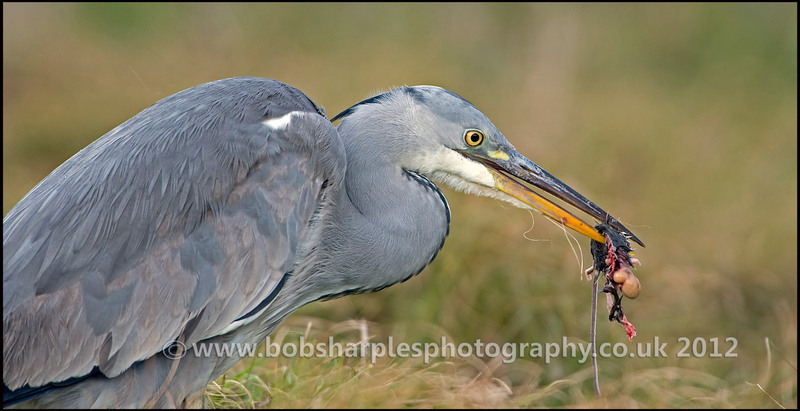 Grey Heron with a captured rat at Marazion. 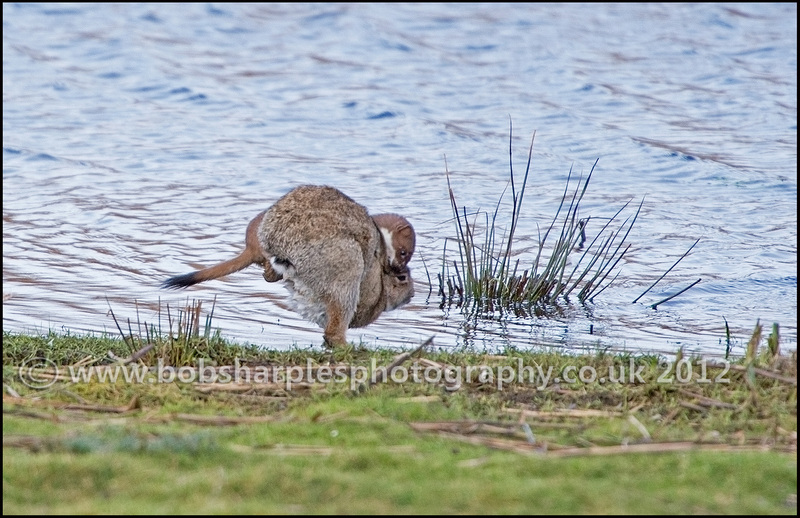 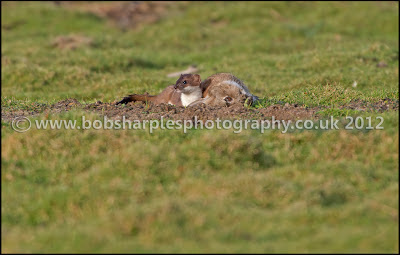 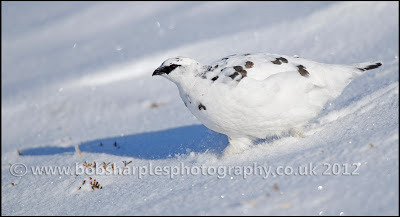 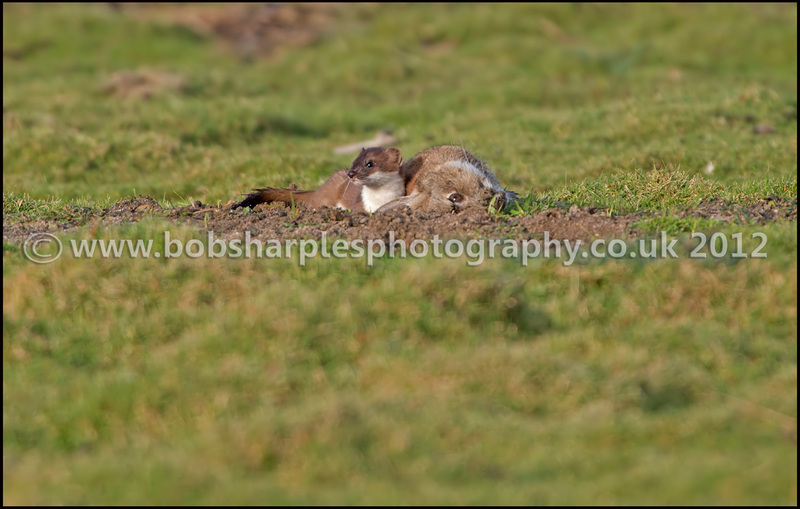 What a piece of luck to witness this Stoat hunting the Rabbit from start to finish. 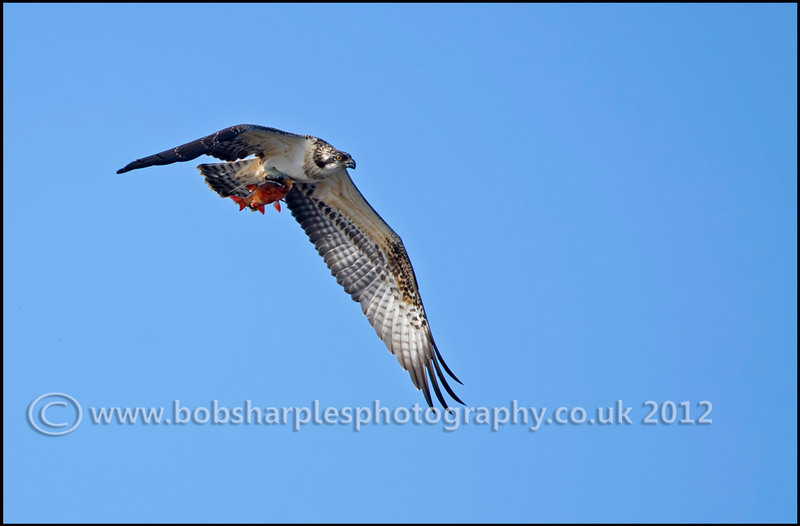 Osprey with Golden Orfe, at Drift, another rare capture for me, I though Scotland would be my best chance of getting an Osprey but Cornwall produced. 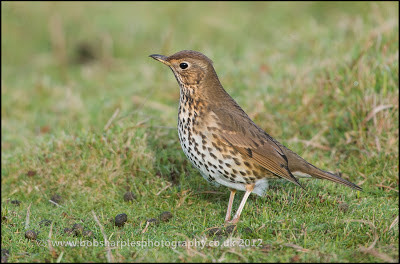 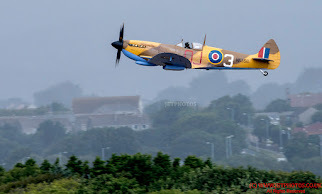 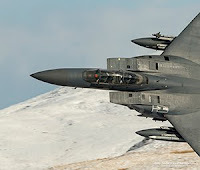 Well that's all, thank you for watching the blog and leaving your comments, hopefully you will all stay and follow in 2013. 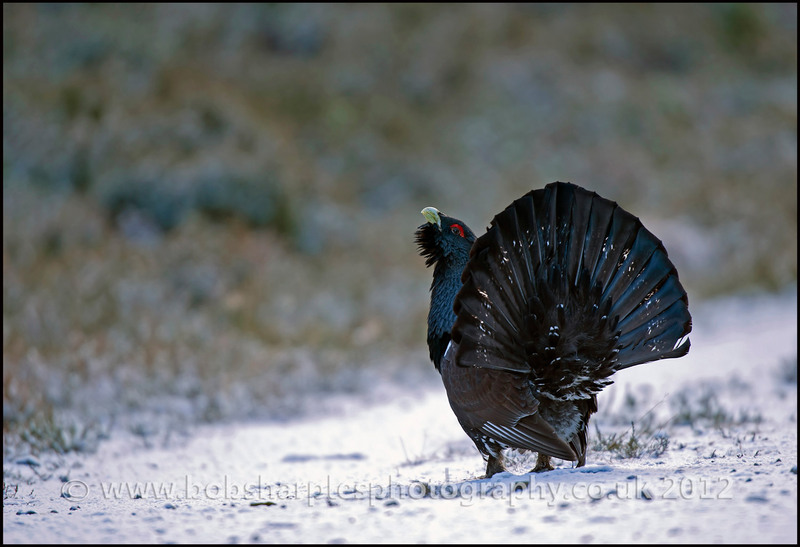 Well always make the effort to get on on Christmas Day, walk off the dinner etc. 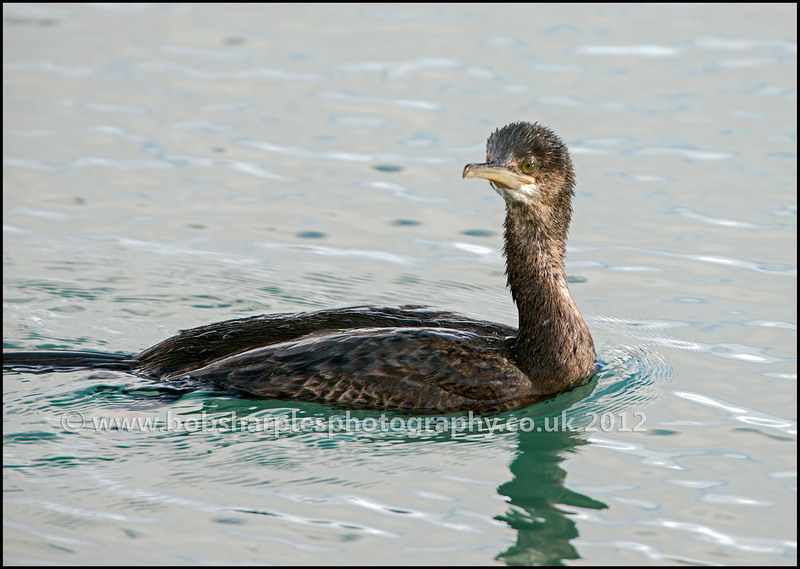 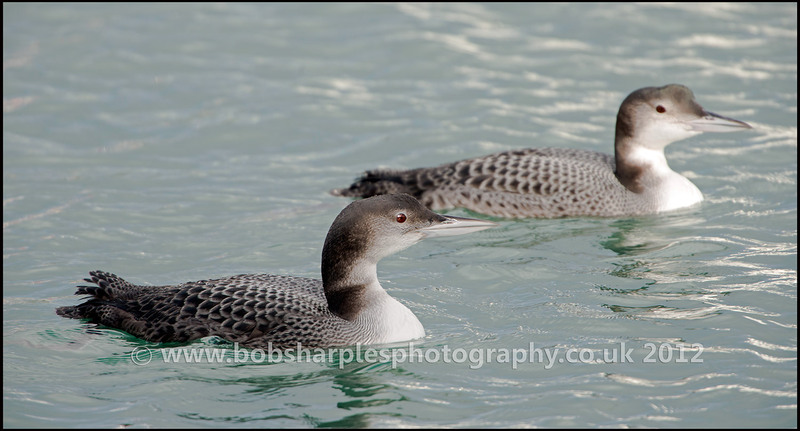 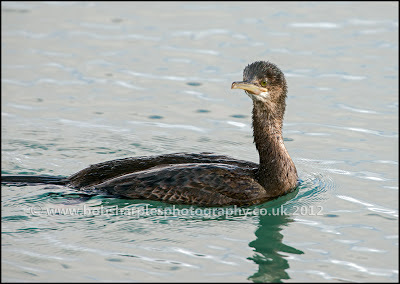 I spent a while trying to photograph GN Divers in Sandy Cove but they were just to far out. 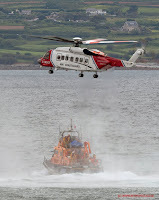 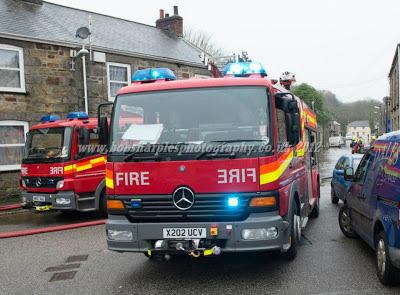 As I drove back a quick glance in Newlyn Harbour and there were three in there, luckily two really close to the car park. Then paid a quick visit to Marazion between the showers. 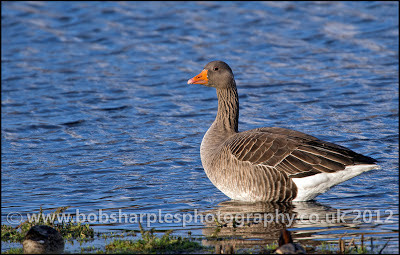 New day, naff weather nothing new! 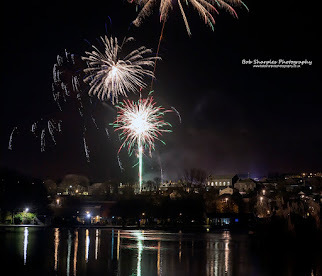 The light was so poor I ended up at Helston boating lake! 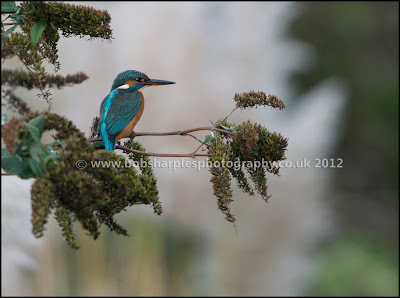 Ok here are a few images from the my last trips out and about. 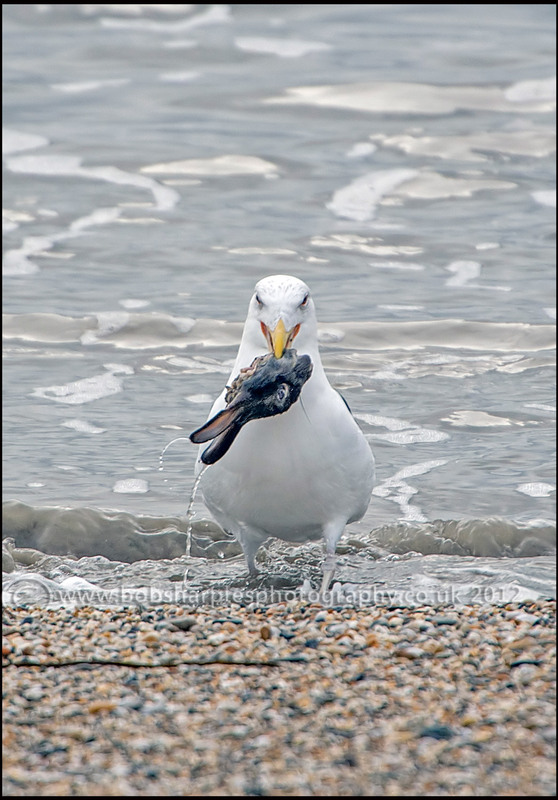 Gull with? Well I couldn't work out what is was so I had a look when the gull discarded it. 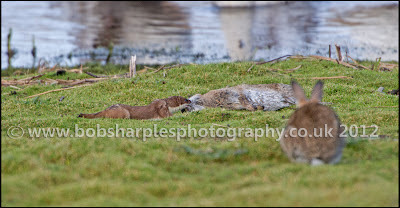 It is actually a rabbit's head, possibly the one the stoat killed on the marsh last week? 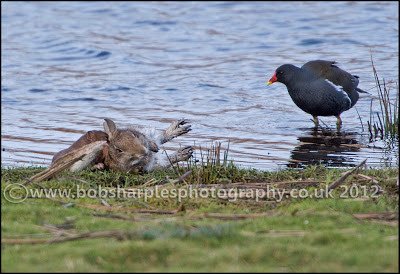 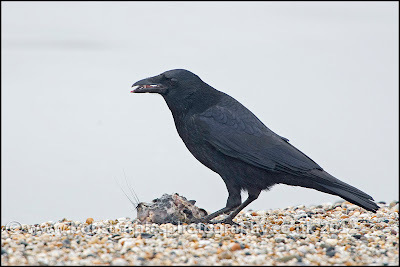 Well the gull didn't fancy it, look closely and you can see it it is definitely the remains of a rabbit head. 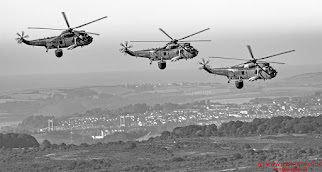 And providing the world doesn't end I will be back soon, lol. 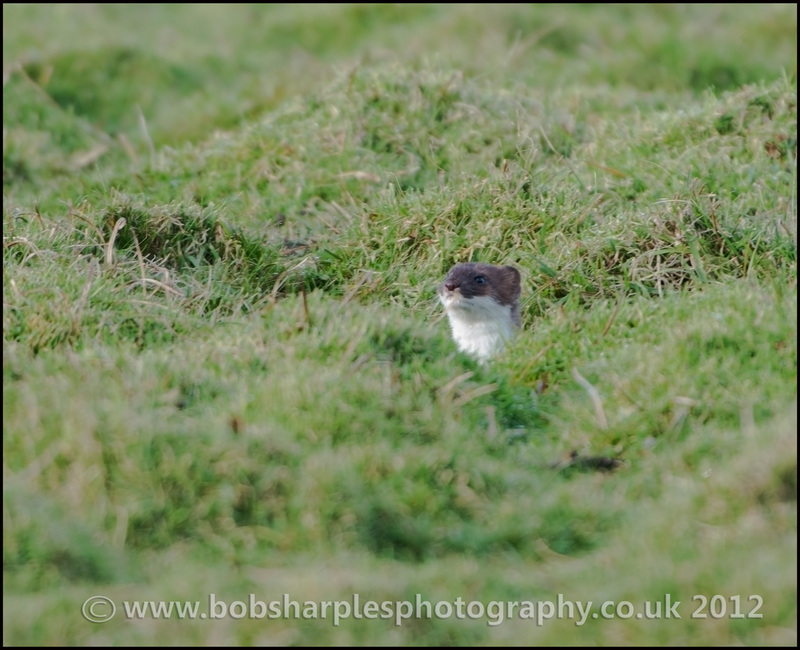 I was just about to pack away my camera kit as it was a quiet day on the marsh; I then spotted a stoat, mindful of a reported stoat taking a rabbit a couple of months ago I decided to stay and watch events unfold! Well the stoat was running in between the rabbits in and out of burrows and to be honest the rabbits were not spooked at all by this little maniac. Some would not even move out of the path of the stoat deliberately/ confidently standing their ground. The stoat continued his little game for a few minutes annoying the rabbits then all off a sudden he sprang into action, I can only assume he sensed he had found the weakest rabbit in the group. 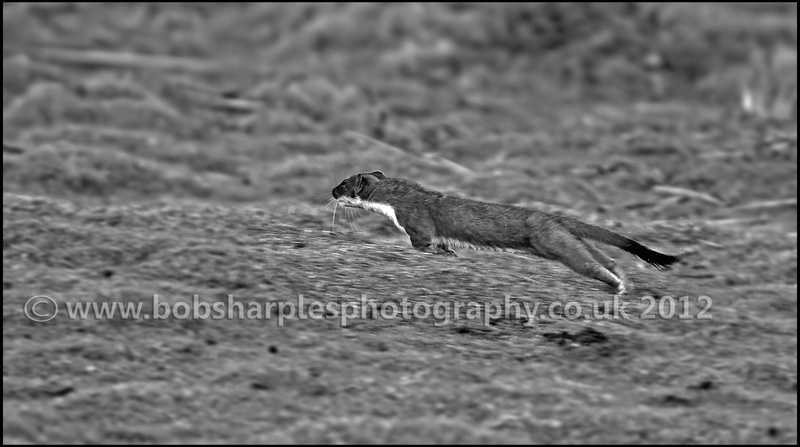 The chase commenced and it looked like the stoat would easily be out paced; how wrong I was. The stoat just seem to keep on running and eventually tire his prey out and then pounce. 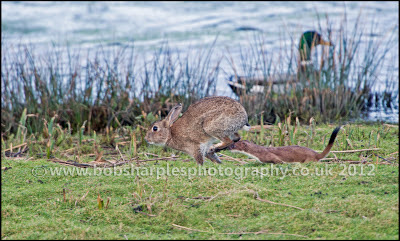 Once he had the rabbit it still took a while to finish him off. 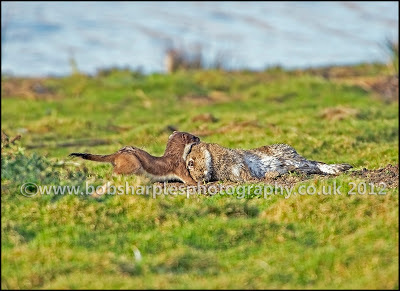 A few bites from the stoat and squeals from the rabbit and eventually all fell silent the rabbit losing it's fight for life. The stoat his hunt complete then dragged the rabbit to the nearest rabbit hole to enjoy his lunch out of sight of other opportunistic predators like fox, Ravens and Buzzards. 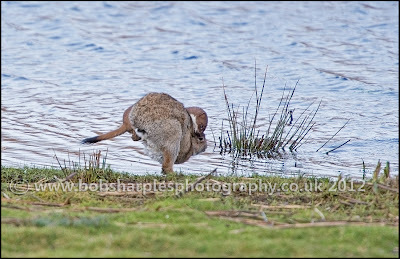 I won't label the pictures tonight they speak for themselves I think. Some may look slightly soft, however follow a rapidly moving twisting and turning chase I am quite pleased with what I got and witnessed. Well winter is finally upon us, which means hopefully more opportunities for wildlife photography. Today's post features the regulars at Marazion who are now venturing closer to the viewing area to fed and seek shelter, giving a chance for some good views. 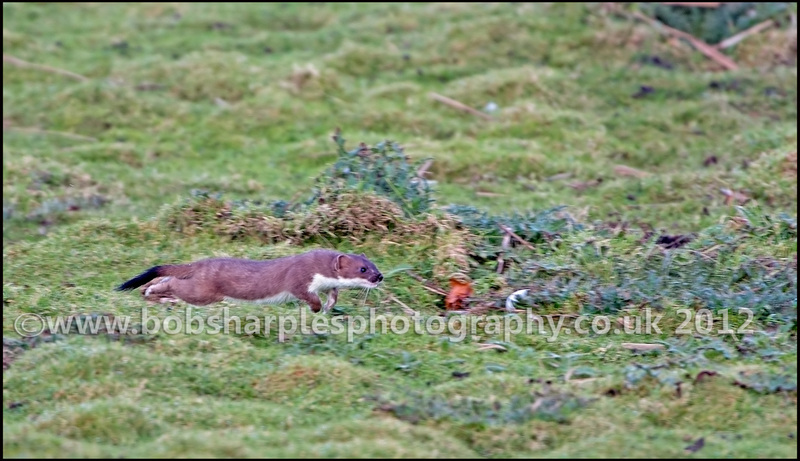 Also featured is a stoat my next post in the next few days will show him hunting and taking out a rabbit! 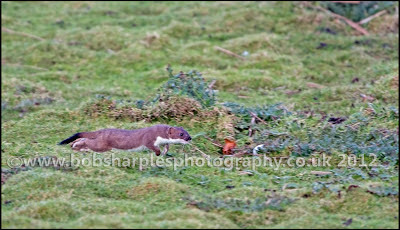 Stoat commencing his hunt, more pictures in my next post!